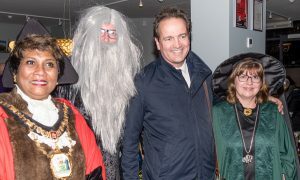 Did you know that we sponsor the “Traders Fancy Dress” competition at Pinner Pantomime evening? The Worshipful Mayor, Councillor Kareema Marikar and our chairman Christine Wallace had the hard task of judging the entrants. 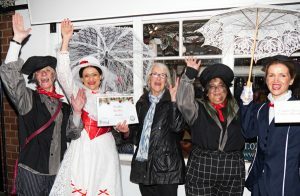 First Prize went to Earth White in Victorian (or as one child said, Mary Poppins) outfits. Second Prize when to BROOKs who dressed as as Dumbledore and a witch from Harry Potter Novels.